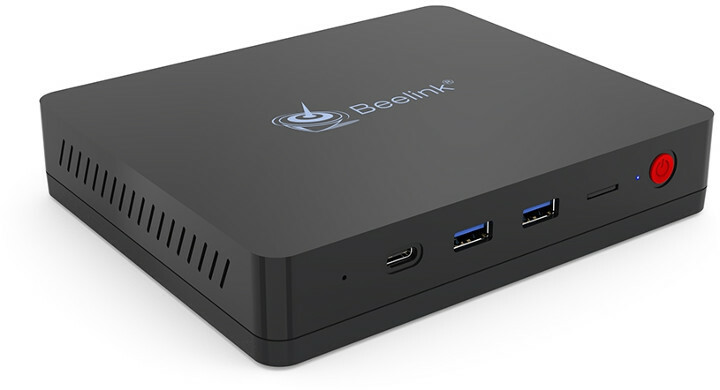 I’ve written about Beelink S2 mini PC based on Intel Celeron N4100 Gemini Lake processor several times, simply because the motherboard appears to be used in other OEM models including Alfawise T1 and CHUWI GBox among others. 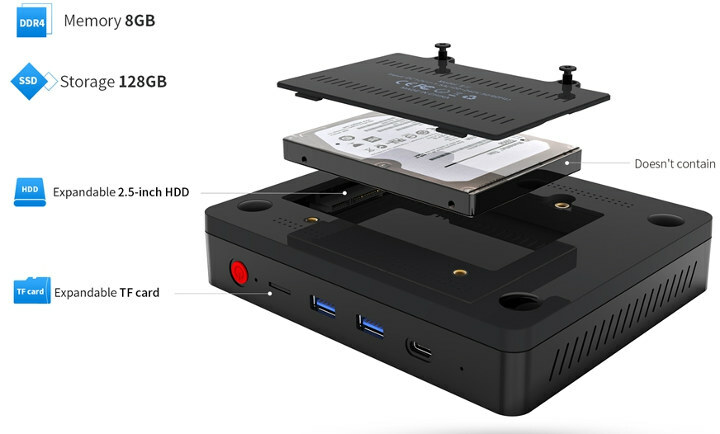 The mini PC runs Windows 10 home 64-bit and ship with a power adapter, English user manual, a VESA mount, and short (20cm) and long (80cm) HDMI cables. If $300 is bit too much, you could also select the $199.99 model with Intel Celeron N4100 processor, and the usual 4GB/64GB configuration. why would you buy any of this when intel nuc is 25% less ? In addition to being cheaper, all the J-series cpus used in the NUC line have significant real-world performance benefits. Actually I would not recommend these N-series pc’s for tasks where users need to interact directly with a responsive system. Send me the link to a Intel Nuc with the same specs for USD 225,please. Doesn’t include RAM, storage or OS though. Does the NUC come in at that with 8gb memory? NUC7PJYH (179 euro) + G.Skill Ripjaws 2400 SODIMM 8GB (dual channel, 97 euro) + Samsung 860 EVO 250GB (79 euro) cost around 350 euro. Tried cheapest option as available from local shop. Is the 8GB RAM dual channel? Two modules? They should aim for $240 without 128GB SSD and add m.2 SATA slot. I’d click that buy button so fast. GPU difference not big either, both have 605, only J has small increase in clocks. but it’s not really that much more to get a proper i3 processor! The 199.99 version is good enough for my daily work, such PC won’t run games anyway. but I’m also interested in the Chuwi Gbox, better brand and much more stylish. Same specs all around, anyone give my some suggestions? A Ryzen alternative would be nice to see. Indeed. Even though those has higher TDP, those Ryzen 2 with 35W would be nice to have (with fan ofc) in a small mini pc enclosure, if possible. I think the links provided in the post and comments are still working.